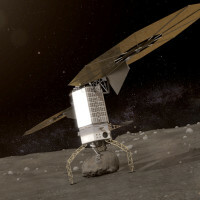 NASA has selected Aerojet Rocketdyne, Inc. of Redmond, Wash., to design and develop an advanced electric propulsion system that will significantly advance the nation's commercial space capabilities, and enable deep space exploration missions, including the robotic portion of NASA’s Asteroid Redirect Mission and its Journey to Mars. 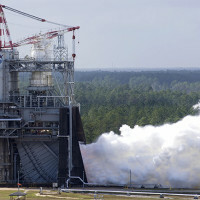 Operators powered one of NASA’s Space Launch System engines up to 113 percent thrust level, the highest RS-25 power level yet achieved, during a test on Feb. 21 at Stennis Space Center near Bay St. Louis, Miss. 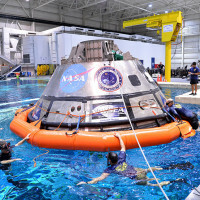 NASA and Boeing have agreed to extend the duration of the company’s first crewed flight test to the International Space Station after completing an in-depth technical assessment of the CST-100 Starliner systems. 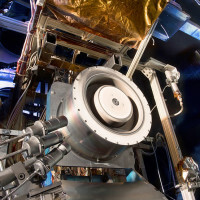 NASA, through its Jet Propulsion Laboratory in Pasadena, Calif., has issued a call to American industry for innovative ideas on how the agency could obtain a core advanced solar electric propulsion-based spacecraft to support the Asteroid Redirect Robotic Mission. Forty years ago, NASA's Viking mission made history when it became the first mission to successfully land a fully operational spacecraft on Mars. 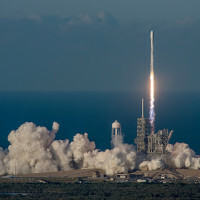 The fourth Boeing Inmarsat-5 satellite, which was launched May 15, will noticeably expand the high-speed broadband service available through Inmarsat’s Global Xpress network after the satellite becomes fully operational later this year. 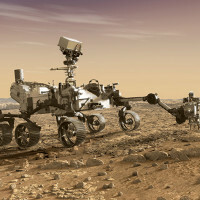 Air Force Research Laboratory researchers are doing their part to make the next Mars rover mission an astronomical success. 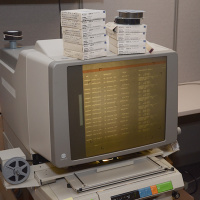 AFRL recently concluded a series of tests in the Particle Erosion Test Facility, located in the Materials and Manufacturing Directorate’s Coatings, Corrosion, and Erosion Laboratory. 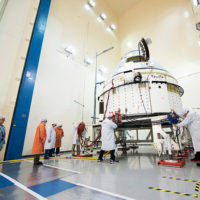 Millennium Space Systems started spacecraft integration of the U.S. Air Force's Wide Field of View Testbed. 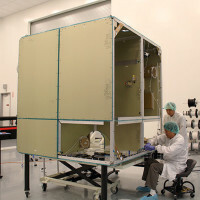 The WFOV spacecraft bus platform will be functionally integrated, tested and checked out in summer 2016, in preparation for sensor integration.